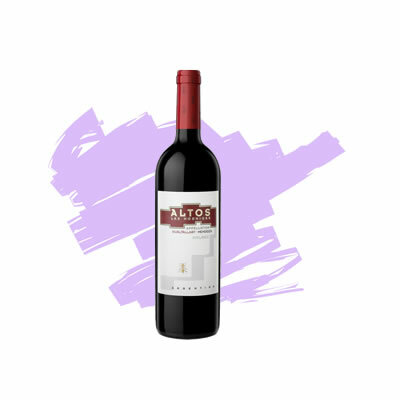 This luminous cherry colored Malbec with pink hues offers a delicate first bouquet of red currant, minty blackberry leaves and tenuous smoky notes. Aromas of passion fruit, accompanied by gentle white pepper complete its cheerful bouquet. This is confirmed on the palate in a light bodied, silky wine with very delicate tannins, along with mango and crunchy plum notes. On the finish, sweet spices and dried herbs linger with a fleshy, natural vibrant acidity. 1. Strip the rosemary leaves from the sticks, leaving a few on each tip. Smash the leaves, using a mortar and pestle, with the garlic, some sea salt and 3 tbsp olive oil to make a paste. 2. Make up skewers using the rosemary sticks. Thread one piece of folded pancetta onto each stick, then one sage leaf and one piece of lamb. Repeat so there are four pieces of lamb on each skewer (or 2-3 pieces if your skewers are shorter) and end with pancetta and sage. 3. Spread the rosemary and garlic paste over the lamb and leave to marinate for at least 30 minutes. You can prepare up to this stage the day before and keep covered in the fridge. 4. Grill the lamb over a medium heat on the barbecue for 10-15 minutes for medium/rare meat. Toast the slices of bread during the last few minutes and then lightly rub both sides with the whole garlic clove and drizzle with a little olive oil. Squeeze lemon juice over the lamb just before serving.